The Circle Brighton is committed to protecting your privacy. This Privacy Notice explains our data processing practices and your options regarding the ways in which your data is used. 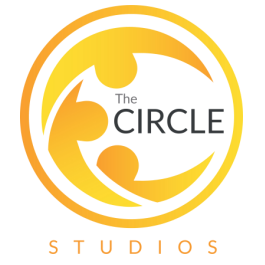 If you have any requests concerning your personal information or any queries with regard to our processing please contact us at reception@thecirclestudios.com. The Circle Brighton will only process (collect, store and use) the information you provide to us in a manner compatible with the EU’s General Data Protection Regulation (GDPR). We are committed to ensuring that the information we collect and use is appropriate for the purposes listed below and does not constitute an invasion of your privacy. We are also committed to applying rigorous security measures when managing your data to minimise the risk of unauthorised access or disclosure. By taking out a membership, filling in a contact form on our website www.thecirclestudios.com or using a mobile app we provide to you, you agree and accept that we may gather, process, store and/or use the personal data submitted in accordance with the terms set below. If you are under the age of 16, The Circle Brighton will not collect or process your details unless we have also received the consent of an adult who has parental responsibility for you. Personal data collected by us and stored via our website or mobile app is processed on our behalf by ClubWise Software Ltd, 6 Tower Court, Horns Lane, Princes Risborough, Bucks, HP27 0AJ Company Reg: 3843268. Your data is stored in the UK. From time to time it may be made visible to employees of ClubWise Development India Pvt. Ltd, Office No. 101, First Floor, Fourtune Arcade, Yeolekar Mala, College Road, Nashik – 422005, Maharashtra for the purposes of software support. The data processor and its group are required by us to process your data in strict compliance with the GDPR. Personal data collected by us and stored via our website is held by Formstack, LLC dba Formstack, Allisonville Road, Ste. 300, Indianapolis, IN 46250. If you consent, we may send you marketing information by e-mail or sms about products and services which we believe may be of interest to you. We will always provide the ability to review or change your preferences or unsubscribe from marketing information with immediate effect. You can also make your request via e-mail to reception@thecirclestudios.com. When you take out a membership with us, the following personal data may be collected and processed in accordance with the purpose and legal basis described above and may include: name, address, contact details (including e-mail and mobile phone number), gender, date of birth, attendance history, marketing preferences and bank details for billing. Some data is collected automatically through using our web site (see section 3.7 below). Certain features of our mobile app may connect to your social networking sites to enable you to follow or be followed by other members of The Circle Brighton. As a result, The Circle Brighton may process information from your social networking profile, but only if you consent to allow your social networking site to make information available to the app. You understand that, by creating an account for the mobile app, The Circle Brighton will be able to identify you by your profile. The Circle Brighton can confirm to you the details of any personal data we hold about you and how it is processed on your request. You may also ask us to correct or delete personal information we hold about you at any time, so long as this information is not required in order to fulfil our service to you. Your information may be passed to and used by all The Circle Brighton companies. Your personal data is also passed to our data processor for the purpose of providing our services to you (see 3.1). Your data will not be shared with any other third-party service providers without obtaining your prior consent. Any third parties that we may share your data with are obliged to keep your details securely, and to use them only to fulfil the service they provide you on our behalf. When they no longer need your data to fulfil this service, they will dispose of your details in line with The Circle Brighton procedures. Cookies are used to control an online session and provide security such as a time-out function. The Circle Brighton only issues session specific cookies which store no personal or transactional data. The Circle Brighton may use Google Analytics for SEO purposes and to improve their online marketing efforts. For a detailed explanation of how Google Analytics cookies work please visit: https://developers.google.com/analytics/resources/concepts/gaConceptsCookies. As a prospective member that has consented for us to contact you, The Circle Brighton will retain your data for up to 12 months, unless you notify us that you no longer wish to be contacted. If you join us, The Circle Brighton will retain your data for as long as you are a member. On termination of your membership, your personal data will be stored for a maximum period of 6 years for the purposes of responding to you in the event of any future indemnity claim that may arise. After this period, your personal data will be anonymized so you can no longer be identified from the information we hold. Note that if The Circle Brighton refuses a request from you under rights of access, we will provide you with a reason as to why. If you believe that your data is being processed unfairly or you have any other concerns about the way that The Circle Brighton or it’s designated processor is handling your data, you have the right to complain to the Information Commissioners Office (ICO). Please visit www.ico.org.uk for more information. The Circle Brighton reserves the right to update this Privacy Notice at any time, in particular pursuant to any changes made to the laws and regulations in force. We would recommend that you check these rules from time to time to stay informed of our procedures and rules relating to your personal information. Write to us at: 55 North Street, Portslade, East Sussex, BN41 1DH.